In seven short years, Bridgend's all-powerful metallers Bullet for my Valentine have risen from modest returns from their 2005 debut-album The Poison to widespread acclaim, sales and large fan-base leading up to their soon-to-be-unleashed fourth album. Prior to recording said debut, Matthew Tuck and crew spent the best part of four years struggling to get a music-deal and then, once they'd inked on the dotted-line with Sony BMG, took a further three years to deliver something. But it's been worth it for both label and band - Bullet For My Valentine now command decent-sized venues and top-name producers. The man at the helm of album #4 is Don Gilmore, who worked on their 2010 release "Fever", as well as Linkin Park and Pearl Jam and with that last album being the second Top 5 album for the Bullets, following 2008's "Scream Aim Fire", the Welsh power-quartet are aiming for three in a row. Both their next single and album will be entitled "Temper Temper", with the single due out this year on 25th November. 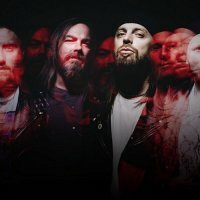 If you were hoping to add BFMV to your Christmas list, no joy - the album will follow in February just prior to their next confirmed UK tour. Bullet For My Valentine have so far announced just a handful of dates for 2013, starting with Birmingham on 12th March, followed by Glasgow on the 13th, Manchester on the 15th and finally Camden's Roundhouse on 17th March. We'll have tickets on sale from Wednesday 31st October at 9am, priced from £18.50 (£20 for London). Be prepared to battle for tickets though - as well as your heroes headlining, you've got support from the none-too-shabby Halestorm for all shows.